Line 1 cookie sheet with foil. Place cereal in large bowl. Melt candy melts as directed on package. Pour melted candy over cereal; toss to mix. 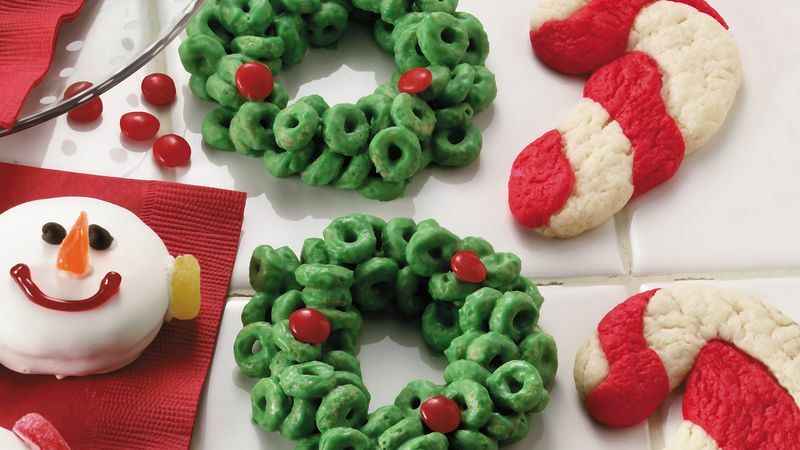 For each wreath, drop about 3 tablespoons mixture onto foil-lined cookie sheet. With fingers, shape into 3-inch wreath with 1-inch center opening. Immediately decorate with cinnamon candies. Let stand about 5 minutes or until set.